Vitamin D is a nutrient which supports the normal absorption and utilisation of calcium and phosphorus, two minerals needed for the good health of bones, teeth and muscles. A lack of vitamin D can have negative consequences on health and lead to certain bone conditions. Although some foods such as oily fish contain vitamin D, most is obtained from natural sunlight. During the winter months or when the weather is overcast, vitamin D supplements can help ensure that the body receives the daily dosage required to function well. However there is also evidence that many of us may be lacking in vitamin D even in the summer months. 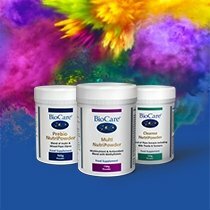 At BioCare® we pride ourselves on having created liquid vitamin D supplement options which have proved to be a popular alternative for people who do not like taking capsules or tablets. 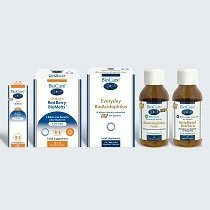 Made from the highest quality ingredients and using innovative production processes, our range of liquid vitamin D supplements also includes options which are suitable for babies, children, the elderly and individuals with dietary sensitivities. The Bio-D supplement can be taken under the tongue, which is useful for those people who have gastrointestinal difficulties, or dissolved into drinks. It is a highly absorbable form of vitamin D, suitable for individuals who suffer from malabsorption. Our most popular vitamin D product is Nutrisorb® Liquid BioMulsion® D which has been emulsified for superior bioavailability. It can also be taken under the tongue by people who have gastrointestinal difficulties or dissolved into drinks. This form of liquid vitamin D provides 1000iu vitamin D3 per daily intake, which means all you need is one drop per day, for the ultimate convenience. 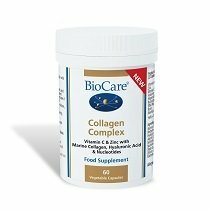 Highly absorbable, the liquid form is simple for the body to digest and the liquids can be absorbed quickly and easily and can be combined with other nutrients from the range into one dose to suit your exact needs. Take care of your children’s health and ensure they get the daily dosage they need of vitamin D, as this nutrient is crucial for the normal growth and bone development. We’ve designed a liquid formulation especially for children, Children’s BioMulsion D which features a delicious fruit base and can be added to water, fruit juice or milk. Also available is Baby Vitamin D Drops which is Vitamin D3 in a simple, additive-free base, suitable from one month.